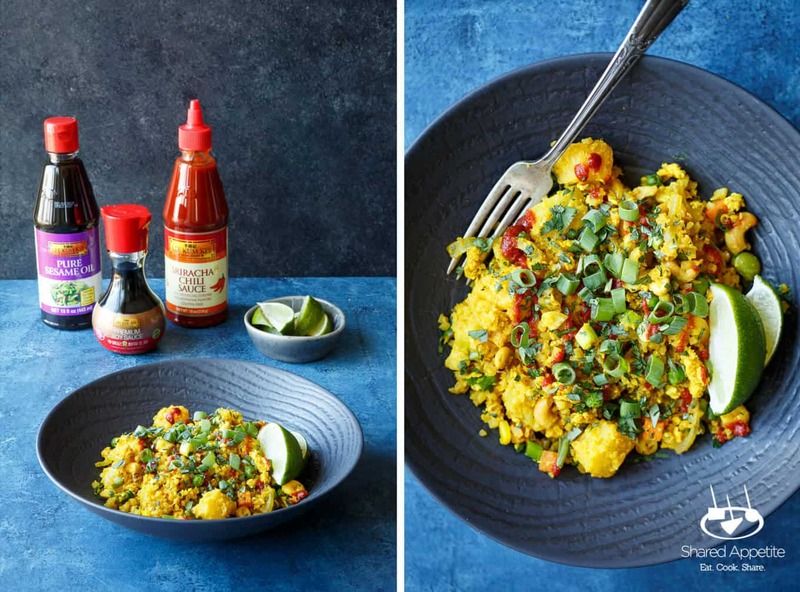 This Thai Pineapple Fried Cauliflower Rice was created in partnership with Lee Kum Kee. As always, all opinions and recipes are my own. Thanks for supporting the brands that support Shared Appetite! If Olivia or Asheley gets their way on takeout night, it is usually pizza. If I get control over the decision making, we’re 100% getting Thai food. I always enjoy trying something new on the menu… it’s an exciting way to experience unfamiliar flavors. Of course, though, I have my heavily trusted go-to order when I want one of my tried and true classics from the local restaurant: pad see ew with a side of coconut rice OR pineapple fried rice. Well, usually it’s not “or”… it’s “and”. Pad See Ew AND the Pineapple Fried Rice. Yes, I’m a bit of a fatty when it comes to ordering food (having too much takeout is way more acceptable than not having enough), but for me Pineapple Fried Rice is 100% the perfect sharing dish at the dinner table. Everyone tries a little bit of it when I bring it home and everyone always loves it (even those picky eaters that swear they don’t like Thai food). Lately Olivia has been on a huge broccoli kick. Naturally, I took that and ran with it, and now have expanded her to also loving white broccoli (i.e. 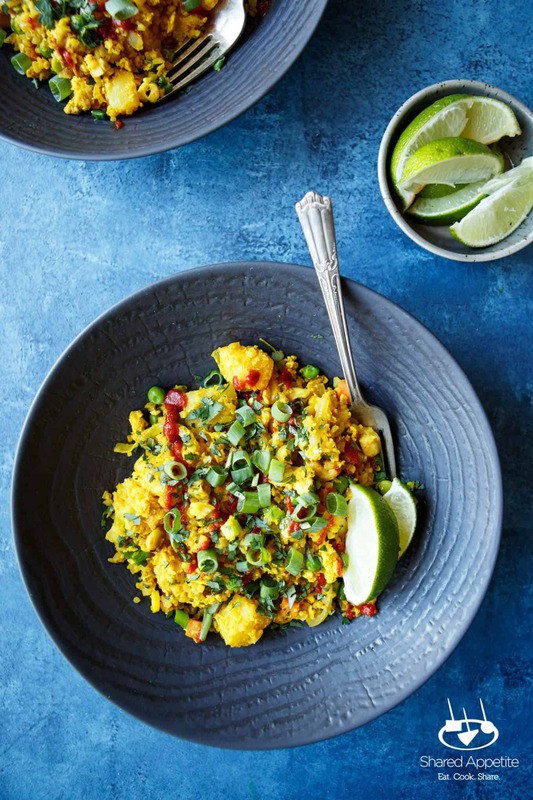 cauliflower). Side note… Olivia now does know it (and loves it) as cauliflower, but when introducing it to my stubborn little toddler, I knew white broccoli would have a much higher chance of succeeding. She can’t get enough cauliflower. I roast it. I add it soups and stews. And lately, I’ve been making it into rice, like for these Healthy Cauliflower Rice Burrito Bowls. Then one recent weeknight I got home after a long day of work and taking Olivia to toddler dance class, and I was really in the mood for Thai takeout. I was definitely not getting back in the car after just getting home and we are trying to keep things a bit healthy around here, so I took a look in the freezer and pantry. Light bulb moment. 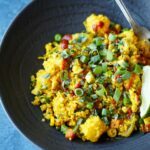 I think I could pull off Thai Pineapple Fried Cauliflower Rice at home! And that’s the beauty of this dish. You can make it with most pantry and fridge/freezer staples you already have in the house, and if you’re well-stocked like me (Asheley would claim I may be a wee-bit over stocked), you probably already have everything you need. And you know what? We were all happy that night at the dinner table. I got my Thai flavors, Olivia got her cauliflower, and Asheley got her cashew fix. The last two weeks she’s had the weirdest pregnancy cashew craving ever. She’s gone through like $35 in cashews. Help me. 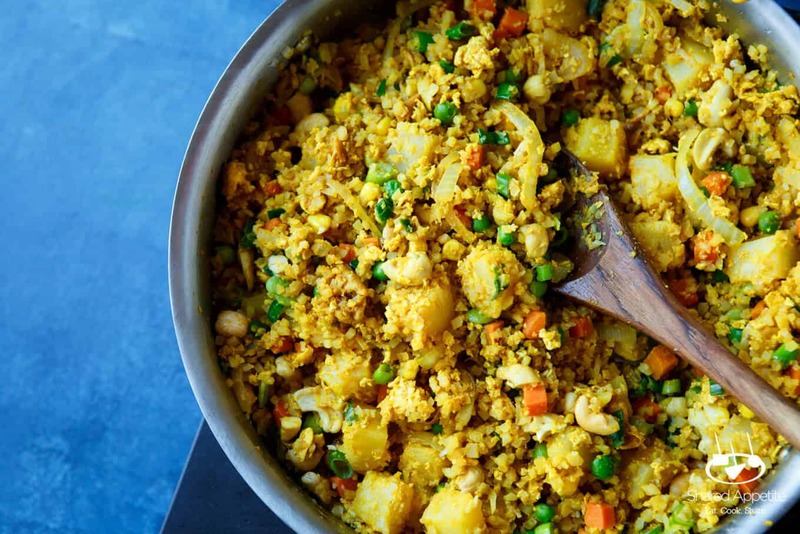 Did I mention this Thai Pineapple Fried Cauliflower Rice only takes about 15 minutes to whip together and uses just ONE pan? Yeah, I know. AMAZING. 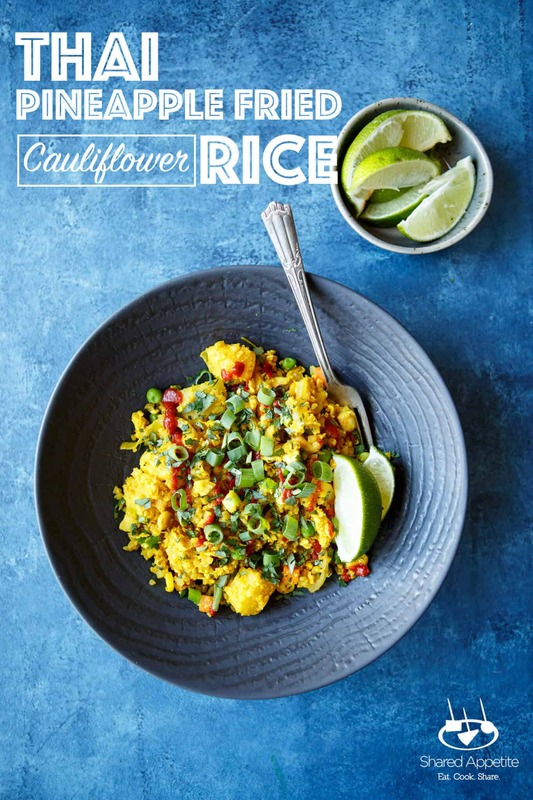 *you totally can just buy a head of cauliflower and chop it into rice-sized kernels in a food processor. I’ve done it. It’s great, but it’s messy. 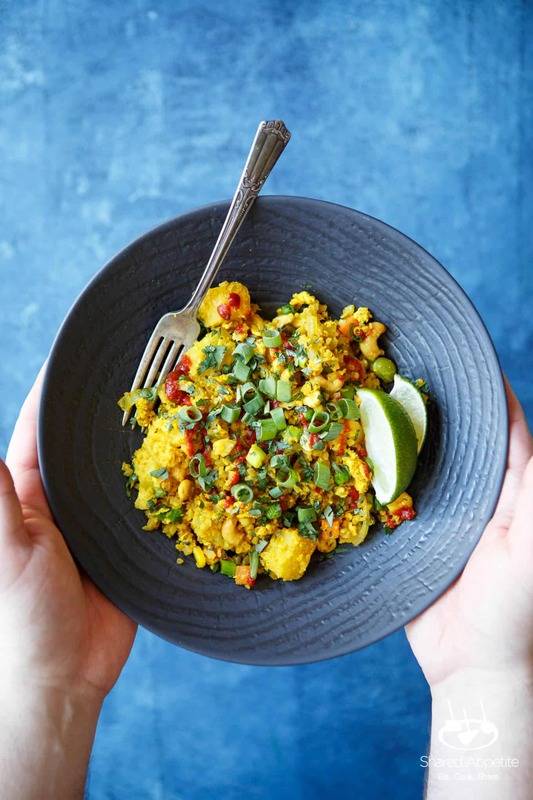 It’s way easier to buy some frozen riced cauliflower and stock up in your freezer for quick weeknight meals like this Thai Pineapple Fried Cauliflower Rice. Let’s review… ONE pan, only about 15 minutes of cooking time, and barely and prep needed! This is such a great way to use up frozen veggies in the freezer (feel free to customize with whatever you have on hand! ), and it’s a healthy vegetarian meal that you can feel good about serving your family. 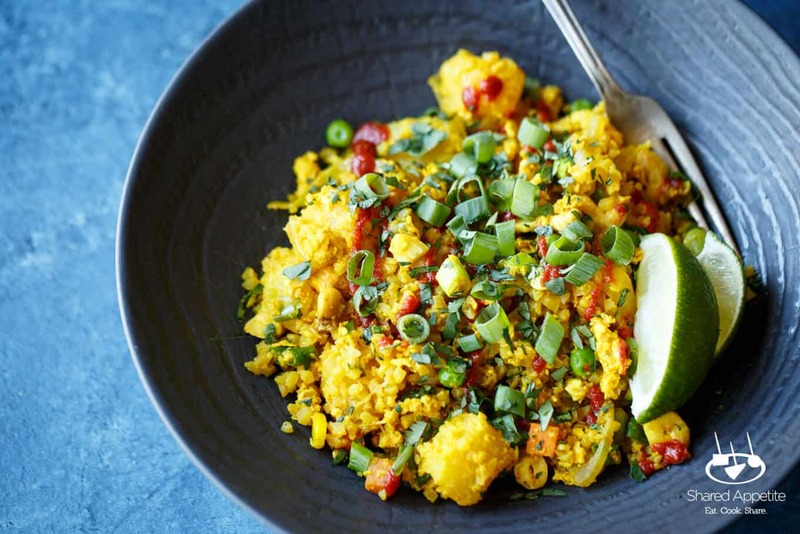 Best of all, the big and bold flavors in this Thai Pineapple Fried Cauliflower Rice makes it feel like a hearty and satisfying dinner! All of this wouldn’t be possible, though, without help from Lee Kum Kee Soy Sauce! 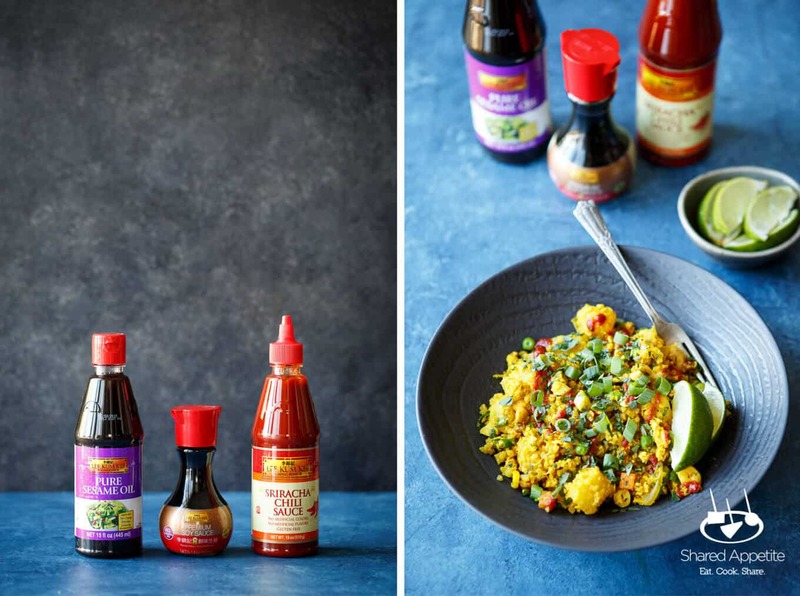 Lee Kum Kee makes it easy for people to enjoy authentic, restaurant-quality Asian tastes and flavors at home through its delicious line of savory Asian sauces and condiments! Lee Kum Kee has a wide range of great-tasting authentic Asian sauces and condiments, and I easily found all three of these items at my local grocery store in the Asian foods aisle!